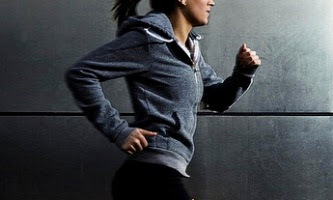 Some people call it jogging, while some, the seemingly athletic types, call it running. The running purists call themselves "runners" of course, and have this disdain towards "the joggers". It's like the term jogging describes the slow manner of locomotion that old folks attempt to revive their sagging stamina. It's either the old folks or the fat folks who're looking for some semblance of exercise. For me, I called it recreational running for fitness. And yes, it's the long slow distance (LSD) type of running. The first time I tried running was when I was in college. I wasn't fond of ball sports when I was in high school and so running came naturally for me. In the first few times I took out to the trails, I was severely overdressed without me even knowing it. Believe it or not, I wore an old pair of brown gabardine pants and a gray cotton sweater with a hood. And this was in a tropical country! About the only sensible part of my running attire were a pair of black running shoes which curiously had white plastic soles. I somehow had this impression all runners wore a similar running attire. That was until I saw a group of other runners who wore running tops and shorts. 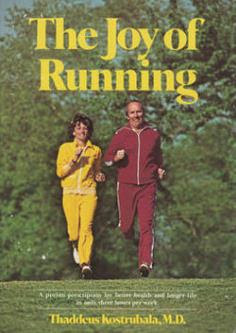 Eventually, I did switch to this type of running apparel. Running gave me a natural high and wanting to get that feeling kept me motivated to run. You might say I was addicted towards running for a long time. Running also improved my endurance tremendously and I felt this when took up boxing as a hobby. Whenever I was at my parents' house which was mostly during weekends and semestral breaks, I'd take all opportunity to run. I ran very early in the morning while the sun wasn't yet out. I'd either hit the trails that led towards the expressway, or the roads that led to a quiet subdivision. But that was when I was at my parents' house. When I was at my aunts' house, however, I didn't want to venture out into the busy streets and heavy traffic. I had to find creative ways to augment my conditioning by stationary running. With the volume of roadwork I did running, I would say I was seriously into it. I learned as much as I can and even bought paperback books (hey I was a student with hardly a budget) on running. I learned terms like "pronation", "supination", "fartlek" (speedplay), "interval running" and so on. The book that gave me a bit of inspiration however was entitled "The Joy of Running" by Dr. Thaddeus Kostrubala. It's an easy read and nothing too technical about it. Reading about this middle-aged guy's passion for running and how he enjoys it so much was highly entertaining and motivational. His discourse was something I could easily relate to. I think I still have this paperback stashed away. Even with my fitness background, my inclination and priority in my early college years was endurance rather than strength training. About the only strength training I did later was when I weight trained with an improvised barbell. It was right after college. when I was working, that I got into real strength training. And this was when I joined a small gym near my office.